Someday this service may be the most important form of identification you posses — with the potential to combine and exceed the utility of your driver’s license, passport and social security card. It has the potential to be the disruptive bridge between physical identity and a truly secure & private digital identity — all thanks to the blockchain. The service I am referring to is OneName — a blockchain-dependent business in its infancy that I believe is currently one of the most underrated startups in the space. You may find regard for a small startup bold — especially one launching amongst a class of rocket ships like Coinbase, BitPay, Blockchain and Ethereum. Maybe it is — but here’s why I believe recognizing such potential is just common sense. So, What is OneName Again? OK Ryan — I get it. It’s a blockchain-based identity registry. Why should I care and how is this any different than the other accounts I register on the web? Like all blossoming blockchain-related innovations the magic is in decentralization and the benefits associated with it. By utilizing blockchain technology OneName gives users the ability to establish their digital identity independently — that is without the required trust of a second party to safely manage their account information. While the Googles, Facebooks, Twitters, and LinkedIns of the world battle to be the primary login authorization for websites — OneName will quietly establish themselves as the most viable option for users to own secure and private authorization identities without the trust of big-social media. It is an option that empowers every user of the internet with the ability to operate as themselves while maintaining privacy and control of their data — users FTW! Oh – Cool. What are the Implications? This is where things get interesting — and where I will indulge myself a little and in the spirit of Conan O’Brian look ahead to what things will be like “In the Year 2000”. First – I’d like to address the concern of having a ‘single point of failure’. Utilizing one single log-in to manage a host of personal information and accounts (an entire digital identity if you will) seems risky — that’s because traditionally IT IS risky. That being said – one immediate risk that is voided by using OneName is that of a trusted second-party. By owning your account information you immediately mitigate a large portion of risk and take accountability for your own information and access. Furthermore – authorization technologies and multi-signature technologies are advancing quickly. It will not be long before decentralized account access and login could be dependent on a variety of signatures. By multi-signature I mean the requirement of multiple access keys (like with nuclear bombs in old movies). Imagine a future where your login is not only dependent upon the weak password you’ve been using for all accounts since you were 12 years old (i.g. MadNugs1984) but a host of unique identifiers such as; 2-Factor Authentication, voice recognition, biological ID & markers, fingerprints, heartbeat, geotagged coordinates, etc. I’m a believer that the problem of compromised accounts will soon be solved. With that addressed… let’s move on…. 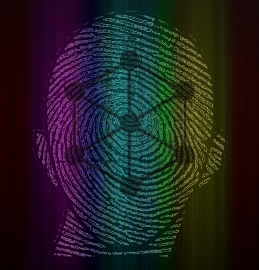 The future implications of decentralized blockchain-based identity are significant as it will allow users heightened degrees of security and privacy while navigating the digital landscape. Complementary innovations abound (examples being cryptocurrencies, the internet of things, decentralized autonomous organizations, advanced reputation systems, etc.) that foreshadow synergies likely to emerge in which decentralized blockchain-based identity services (distributed identity services such as OneName) hold even greater utility. OneName linked to Social Security Number: A user who voluntarily linked their secure & encrypted social security information to a OneName account could eventually use their OneName account to verifiably vote on a blockchain-based election platform. Imagine voting in 2020 via the “blockchain option”. OneName linked to Insurance Information: A user who voluntarily linked their secure & encrypted smart-insurance policy (maybe stored on the future Ethereum blockchain) could arrive for treatment at a hospital and automatically have all charges and costs verified against their policy before treatment in a single second — all by just swiping their phone and logging in. OneName linked to Passport: A user who voluntarily linked their secure & encrypted passport information could be recognized as less of a risk than other travelers. They might received ‘fast-lane’ treatment as their physical passport would no longer need to be verified. Just confirm that you retina signature for your passport is in fact your with an eye-scan and move along please sir or madame. OneName linked to Driver’s License: A user who voluntarily linked their secure & encrypted drivers license to their account could ensure that their car doesn’t start unless their OneName key is present in the car. No more stealing my car – unless you can pick it up. In conclusion — I foresee OneName or an equivalent becoming the single bridge between physical and digital identify. A host of trends in technology and society point towards civilization expanding further into the digital landscape, a place where secure, trusted and private identity will be essential. With that said — you might consider heading over to http://www.onename.com and claiming your name now — especially if your a Jonathan Smith or Sarah Johnson.